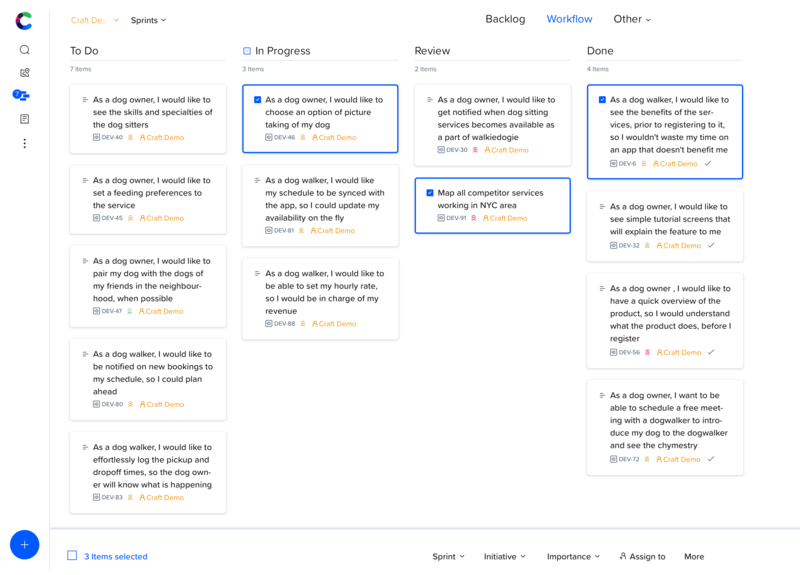 The Board view is a column view with a Kanban Board-like behavior. Use it to view all your items as cards and easily drag items between columns. 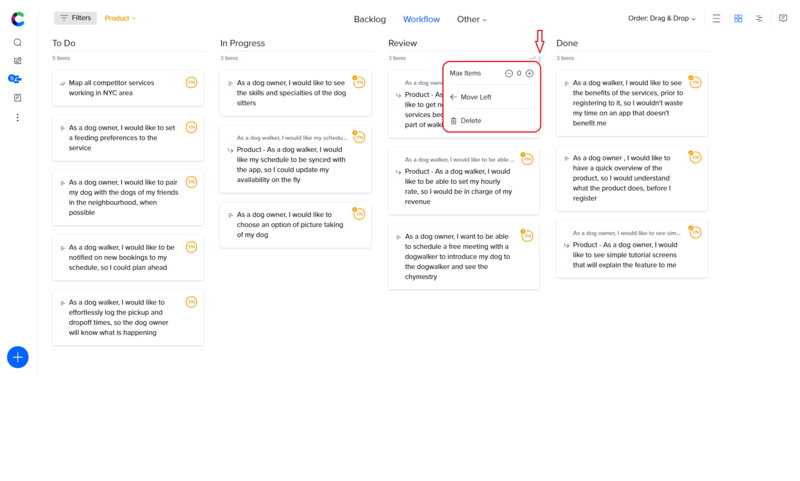 Among other grouping options, the board view is a great layout for sprint planning and for workflow management. You can sort the columns on your view in ascending or descending order from the Order drop down on the top right menu. 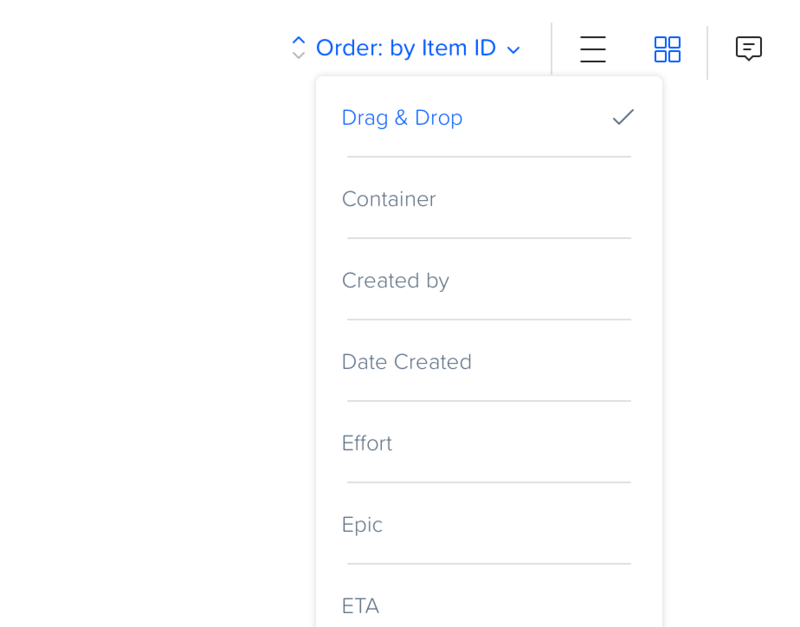 With Drag & Drop selected, you can also change the order or the cards inside their column, in addition to dragging and dropping it to another column. 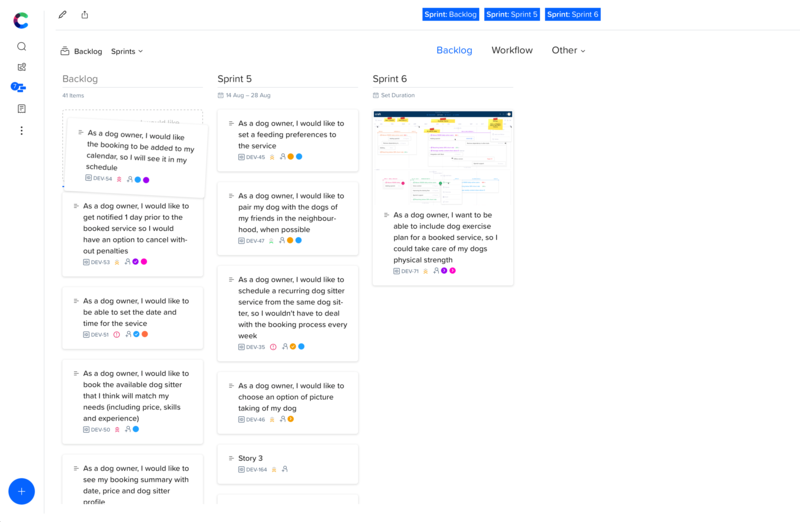 Use backlog grouping for sprint management, filter your view with backlog and current sprint to see its scope and progress, or add the next sprint for planning. To view past sprints and their released items, make sure to add the filter modifier "Item Status: All"
We’ve made Craft flexible and customizable so that each team that works on a product, can set their own workflow and work by it. 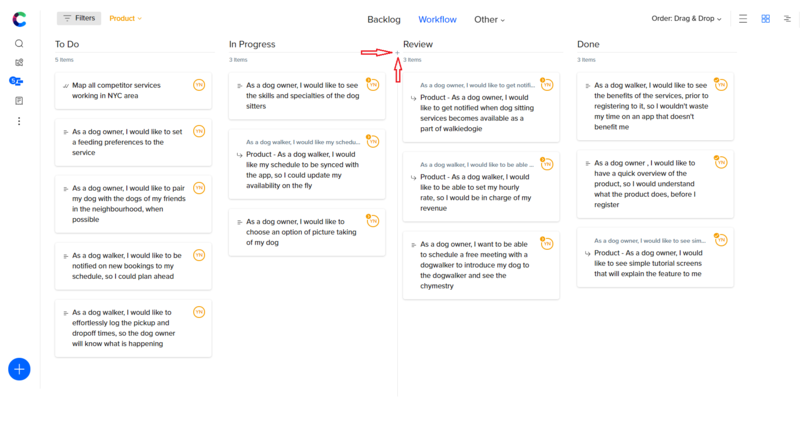 The default workflow per team is To Do -> In Progress -> Done, but you can add as many steps / statuses as you want to your team’s workflow and rename these as you see fit. For example, for your product team, your workflow could be To Do -> To Define -> To Review -> Done, while your UX team’s workflow can be Ideate -> Wireframe -> Prototype -> Research -> Deliver. You can create and organize teams from the teams and members menu, available from the top left "C" menu, and customize workflows directly in Items Board View -> Workflows.